Translated as Palace of Malaysia, diners at Istana Malaysia in Wellington's Allen Street are treated as royalty with all dishes cooked to order and spiced according to a guest's taste. 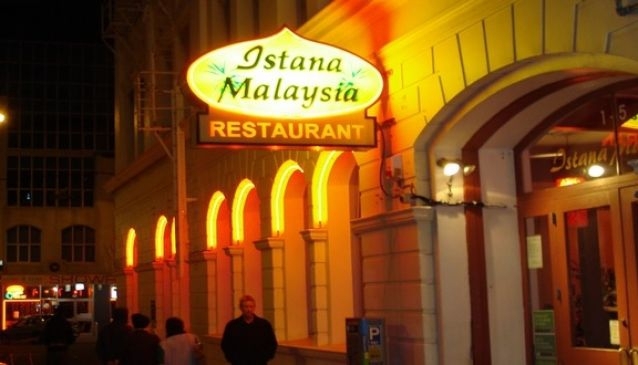 Boasting a head chef with 25 years' experience who has represented Malaysia at an International Food Fair and spices imported directly from the country, meals at Istana Malaysia are among the most authentic meals in the city. The menu offers meat, fish and vegetarian dishes including Chicken Sambal and Stir fried beef and mushroom in five spice sauce and groups of four or more can order a banquet meal to share. Asian and imported beers and a selection of New Zealand and Australian wines are offered to complement the meal.